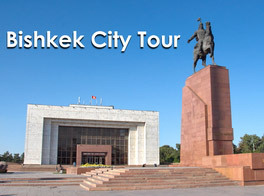 Internet reservation of Bishkek Hotels on www.bishkekhotels.ru! We provide guaranteed hotel reservation of hotels in Bishkek. Review and book your accommodation in Bishkek hotels directly over the internet. The Club-Dostuk is a club-type hotel, where every guest is guaranteed a high level of comfort, unobtrusive service and a wide variety of services.